Kurt Building Materials continues a heritage of 40 years of quality insulation panels made in Cornell, Wisconsin. 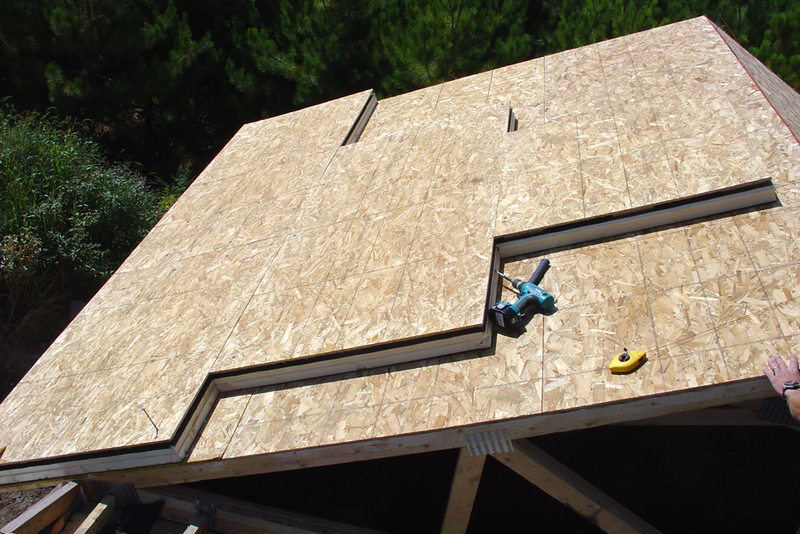 The external nailbase roof and wall insulation business was invented in Wisconsin many years ago for the commercial roofing industry as a way to insulate vaulted ceiling buildings such as churches. Today Kurt insulation panels are saving energy in sloped roofed commercial applications including educational buildings from elementary to college, military complexes, historical restorations, resorts and waterparks. Traditionally the the advantages of external insulation panels for wall and roof have been made-to-order for commercial architect-specfied projects only, sold though commercial distributors to roofers and contractors. Now Kurt Building Materials offers standard sizes of these products to the consumer, available through local lumberyards and building materials dealers: TechVENT® ventilated roof insulation for use under shingles, and TechWALL® + ROOF, non ventilated nailbase wall insulation panels that can also be used under metal roofing which does not require ventilation. Our Cornell-made panels have never suffered a field failure because our products are made right! Explore Kurt Cornell panels for your new or retrofit commercial project, made to order to your specification. The advantages of continuous external roof and wall insulation, formerly made-to-order only for commercial projects, is available ready to use for your home or light construction project. TechVENT® Pro (for shingles, slate or tile) and TechBASE® Pro (metal roofing) are ideal for use in a vaulted ceiling application. The problem of adequately insulating a vaulted ceiling is solved with our externally attaching roof insulation panels. Older buildings lacking adequate insulation are ideal candidates for Kurt roof and wall insulation panels. Historic homes, schools, municipal buildings, museums and numerous local, state and Federal structures have benefited from nailbase roof and wall panels designed into the restoration process. Post and beam or glue lam beamed buildings often have a planked wood ceiling deck. This wood deck is ideal for attachment of TechBASE® Pro or TechVENT® Pro. Often external insulation panels are the only way to insulate this type of roof construction. Anything from a home to a school to a military complex that is designed with a sealed attic space needs Kurt insulation panels to condition that space. Conditioned attics can be used to safely house mechanical, fire suppression, and other temperature sensitive equipment-or create a home living space. Designing TechVENT® Pro and TechWALL® Pro into your new construction project assures energy efficiency. The efficiency of Kurt roof and wall insulation panels can also be retrofit to your existing building without disturbing the interior structure. TechWALL® Pro is a composite external wall insulation panel with a 7/16” OSB nailing surface for siding attachment. TechWALL®Pro helps you meet the new continuous insulation building codes and reduces thermal bridging from the studs. Tongue and Groove foam (8’ dimension) reduces heat loss at the joints.